This two-tone rectangular end table is a great addition to your living space, with plenty of table top space and a lower shelf for extra storage. The rubbed-through finish of the base gives it an endearing quality, while the the alternating grain directions of the top give this piece added interest. The Stownbranner Two-Tone Rectangular End Table by Signature Design by Ashley at Zak's Home in the Tri-Cities, Johnson City, Tennessee area. Product availability may vary. Contact us for the most current availability on this product. 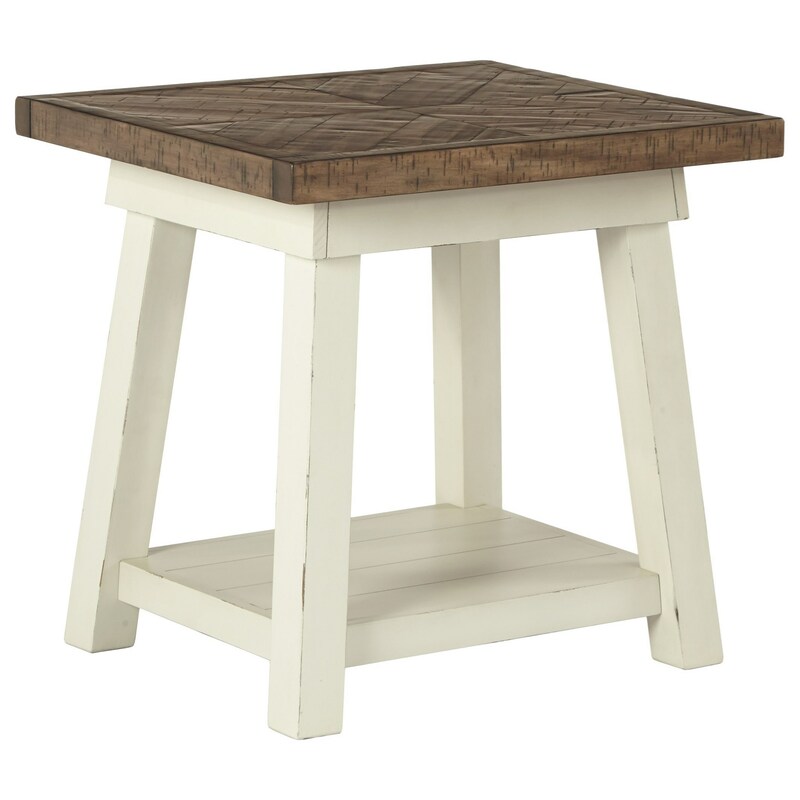 This collection of two-tone occasional table pieces will bring a relaxed farmhouse feel to your home. The rub-through effect of the white frames, combined with the alternating grain directions that show through on the tabletops, gives these pieces their country chic appeal that will satisfy a variety of design tastes. The Stownbranner collection is a great option if you are looking for Relaxed Vintage Casual furniture in the Tri-Cities, Johnson City, Tennessee area. Browse other items in the Stownbranner collection from Zak's Home in the Tri-Cities, Johnson City, Tennessee area.